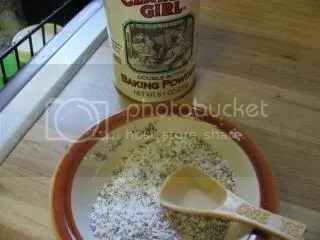 Posted by Peeps in Cook's Illustrated, Cooking, Home, random stuff. A few weeks ago, my wife and I were watching America’s Test Kitchen. It’s a relaxing way to spend half an hour before I have to walk the dog. And we might find something we want to try. They did a show on how to roast a turkey on a charcoal grill, so that you can save oven space at the holidays. And even though it’s nowhere near the holidays yet, and we didn’t have a turkey handy,we decided that we wanted to try it. We still have several whole chickens in the freezer and we thought that it might be worth trying. 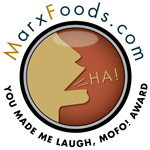 Roasted chicken in the Summer time without heating up the house? Let’s go! You start by cutting four slits into the back of the chicken to let rendered fat drain out. The skin then needs to get loosened. Yes, it’s not a fun step, but you need to do it. Then you need to season the bird. In this case, salt inside the cavity to start. The turkey version called for something like two tablespoons, but we scaled it back a bit. It was a large chicken, but not quite that large. Some salt needs to get under the skin of the bird. Get as far as you can reach without tearing the skin You’ll be happy you did. Then the outside of the bird gets covered in a mixture of salt, pepper and baking powder. It apparently helps with browning and makes the skin crispy. And who doesn’t want that? 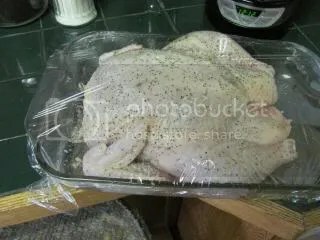 The bird gets covered with plastic wrap and goes into the fridge at least overnight. Two days will work, if you don’t mind having the bird take up all that room in your fridge. When you’re ready to cook, you need to get the grill ready. 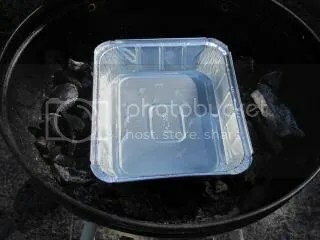 Unlit coals on either side of a disposable aluminum pan filled with water need to go into your grill. 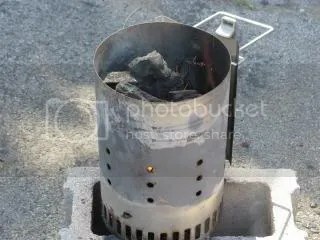 Once your coals are hot, you pour the hot coals on both sides of the aluminum pan and close the grill to let it heat up. The way of arranging the coals and the pan allows you to cook the bird on indirect heat. The water in the pan helps even the heat out and creates a slightly more damp cooking environment. 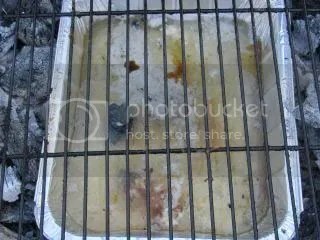 Once the grill is hot and the grates are clean, place your bird right over the pan of water and close the lid. Now walk away for a while. 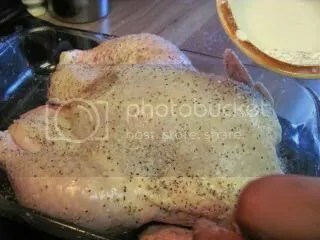 Check the bird after about two hours, you want the breast meat to read 160 degrees and the thigh to be 175. Once the bird is cooked, let it rest for about fifteen minutes or so. And don’t look at the stuff that ended up in the aluminum pan, it’s not terribly pretty. This was great. It wasn’t quite as brown as we would have liked, but it also wasn’t on the grill all that long. The skin was crisp, the meat was well seasoned and juicy and there was very little to clean after dinner. I think this might happen more than once over the course of the Summer. If you care, you can see how to do this with a turkey right here. I’ve done those before, when I had the big barrel charcoal grill, although I didn’t do the pan of water. Try stuffing the chicken with a stuffing made of ground beef, spinach, ricotta and herbs. Fat from the beef bastes it from the inside, and does wonderful things. I can’t figure out how to do it on my gas grill, though, with the top half-shelf thingy that moves forward. I have done a spatchcocked bird a time or two, though, and it’s wonderful. Kay, we LOVE spatchcocking birds – that’s kind of become our go-to chicken roasting method, both on the grill and inside. LOVE tossing some sizable fingerling potatoes with just salt & pepper an some herbs, then roasting the chicken ON TOP of the potatoes . . . mmmmm. And your stuffing – interesting. . . .